Exterior signage provides the first opportunity to make an impression on your visitors. Whether you need brand identification or a wayfinding signage solution to guide your visitors and staff, ASI can develop an exterior architectural signage program tailored to your exact needs. Our experienced consultants and the partnerships we have forged with industry professionals make us the most qualified partner to create an optimum outdoor signage solution for your next project. Our outdoor signage solutions can be illuminated internally or externally, and ASI provides standard and custom-design solar-powered signage as well. ASI has multiple plants around the USA with the capability of manufacturing a wide range of exterior signs from various materials. Our talented team of engineers and designers can provide you with a solution, whether you require an internally illuminated, externally illuminated on non-illuminated sign. 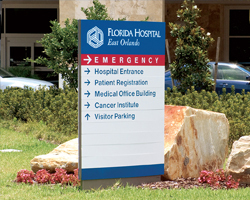 From small to extremely large, we have provided custom aluminum monument signs to clients worldwide. 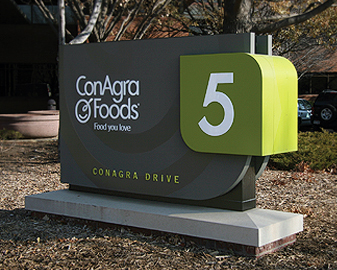 Our fiberglass range of signs have the added advantage to being seamless with no screws, welds or seams visible. ASI’s exterior modular signage systems are designed and engineered to the highest standards to withstand the weather and elements from coast to coast. 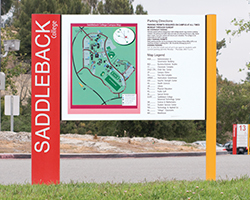 Our modular signage gives architects, designers and facility managers a method for communicating important wayfinding information while effectively promoting the organization’s brand identity. Each modular signage solution consists of multiple, highly visible components that can be combined in various ways to produce the exact solution the project requires. 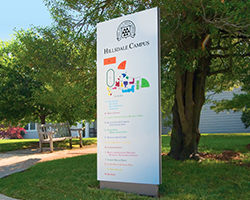 The modular functionality allows the exterior modular signage solution to grow and change over time, which is important to maintaining your wayfinding plans and brand identity as your organization grows. ASI offers dimensional letters and logos for exterior solutions that project an image of professionalism, substance, and stability with quality that is unsurpassed in the industry. 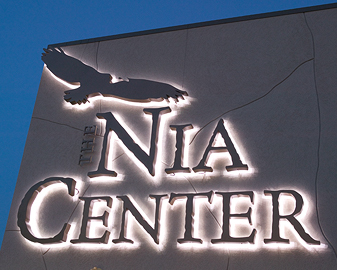 ASI’s experienced craftspeople work with a variety of materials and manufacturing techniques to create elegant and visually striking effects for exterior dimensional letters and logo forms, and the forms can be integrated into custom illuminated and non-illuminated exterior signage.